The federal safety directive also described secondary safety measures Amtrak should consider to prevent crashes, including the use of a device called a “shunt” that sends an electronic signal to the dispatcher when machinery is on the track. PHILADELPHIA (AP) Amtrak has been ordered to retrain rail workers on basic safety rules after a train going 106 mph (170.5 km) struck and killed two Amtrak employees working on the same track. The mandate from the Federal Railroad Administration suggests the veteran Amtrak workers may not have known the track was being reopened to train traffic. The directive, in bold print, orders Amtrak to reinforce the rule that a track will not be reopened until all workers have either left the area or been warned about an approaching train. The engineer on the southbound Palmetto train had only five seconds to brake before crashing into a backhoe occupying the same track in Chester, about 15 mi. (24 km) south of Philadelphia. Backhoe operator Joseph Carter Jr., 61, of Wilmington, Del., and supervisor Peter Adamovich, 59, of Lincoln University, Pa., were killed. About 30 of the more than 300 passengers aboard were injured, most with scrapes and bruises. The directive suggests the collision must have followed a breakdown in communication, possibly during a shift change. The crash occurred just before 8 a.m.
“FRA rules always require that a notification be made to the workers before there are any changes to their job briefing” and the track goes into service, the agency directive said. “We will begin the safety stand down immediately with all active crews,” Boardman said in a statement. Three track workers have been killed on the job on Amtrak's Northeast Corridor since March 1, according to their union. The federal safety directive also described secondary safety measures Amtrak should consider to prevent crashes, including the use of a device called a “shunt” that sends an electronic signal to the dispatcher when machinery is on the track. 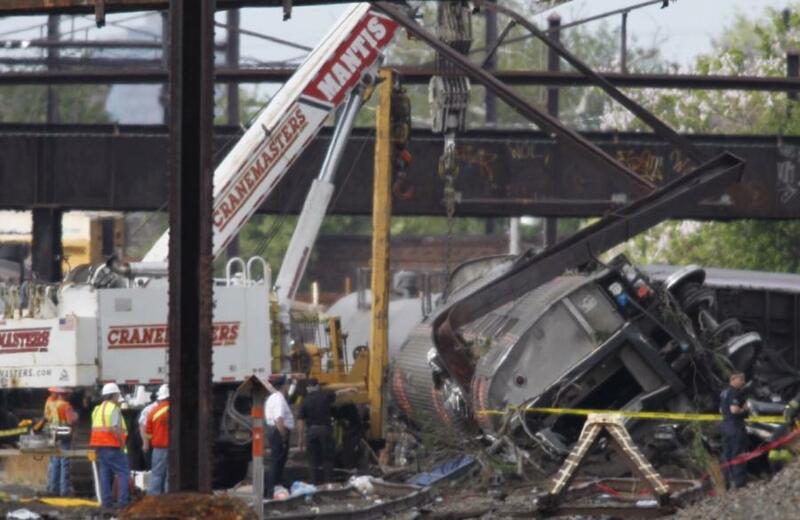 The use of the devices were debated after a similar crash in Chester, Pa., in 1988, in which two track workers jumped to safety before an oncoming train struck their maintenance vehicle. In the latest crash, three contract employees were using a machine to do stone work on an adjacent track when the train struck the backhoe, a company spokesman said. They were working in tandem with the Amtrak crew, and were “unaware” the other track was in service, according to Tom DeJoseph, a spokesman for the company, Loram Maintenance of Way. During a shift change, the outgoing supervisor is supposed to brief the incoming supervisor, who then meets with his or her crew before anyone enters the track, rail safety experts said. The supervisors also communicate with Amtrak dispatchers. “The procedures were in place, and somebody did not follow them,” said consultant Russell Quimby, a retired NTSB safety engineer who is not involved in the investigation.